Preheat the oven to 350°F. Grease a 9x13-inch baking dish with cooking spray. Toast each Toaster Strudel and lay them flat in the prepared baking dish. 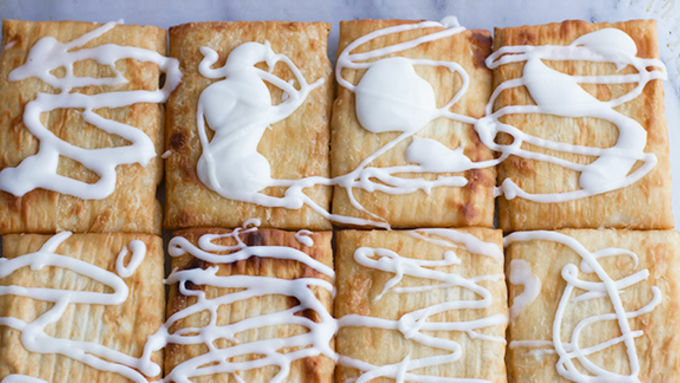 Drizzle each strudel with icing. 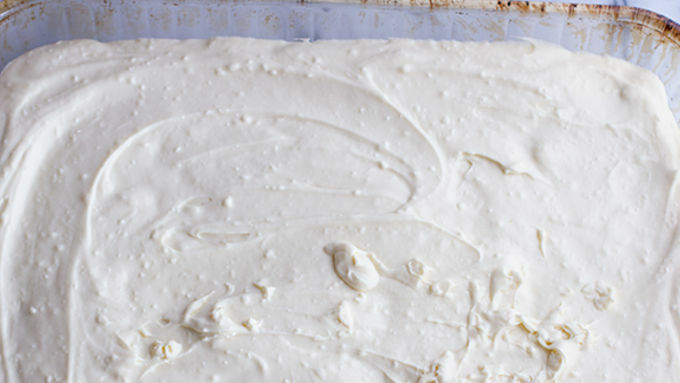 In a mixing bowl, beat together the cream cheese and sugar until smooth. Add the vanilla extract, melted white chocolate and eggs. Beat until smooth and creamy. Pour the mixture right over the Toaster Strudel base, smoothing with a rubber spatula. Bake the bars for 25-30 minutes or until the center is just beginning to set. 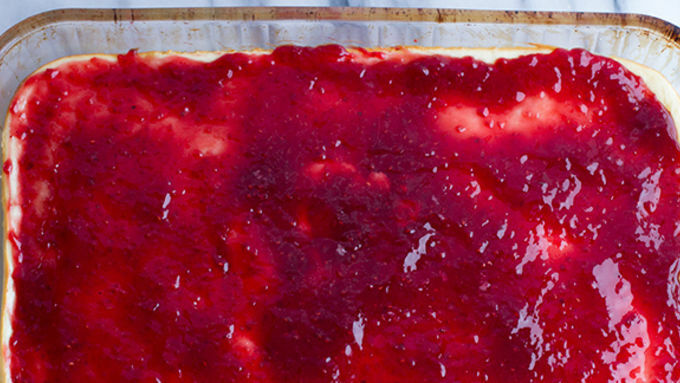 Remove the bars from the oven and carefully smooth the raspberry fruit spread over the top of the bars. Cover the bars and chill in the fridge for 2 hours. 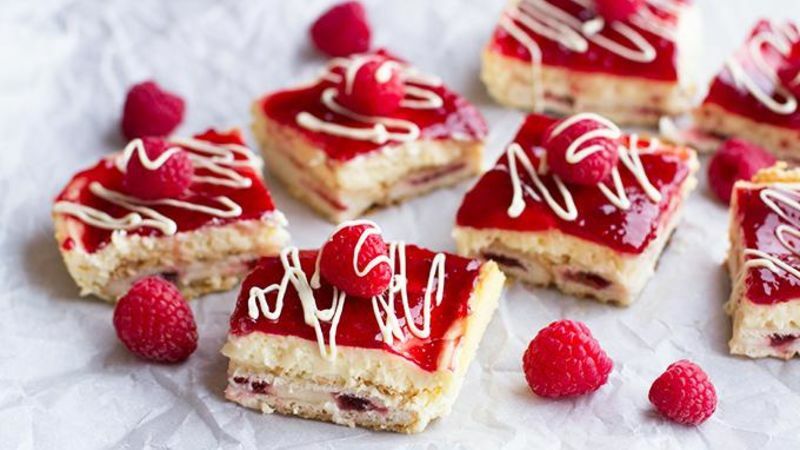 When ready to serve, cut the bars into squares and place a fresh raspberry on each bar. Drizzle each bar with remaining melted white chocolate and serve. 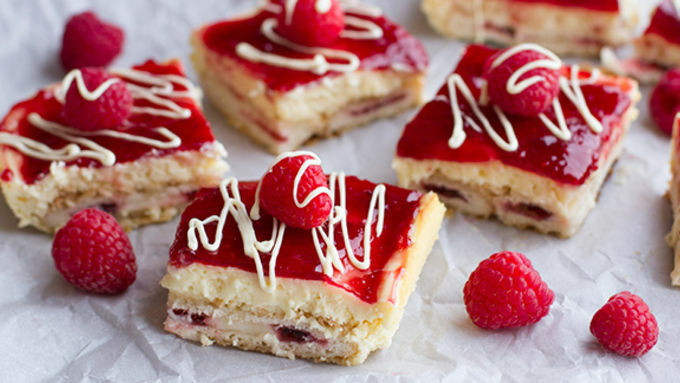 Cheesecake bars so easy and pretty, you may never may make a plain cheesecake again. You know how a pretty dessert always tastes that much better? Well, these are those bars. They are crazy pretty with their red raspberry topping, complete with a fresh little raspberry sitting atop each bar. They leave every single person looking for more. Sometimes I feel like cheesecake can get a little boring with its graham cracker crust. If I'm going to do cheesecake, I'm gonna do it with tons of flavors and one little surprise that really makes you go “WOW!" Today’s WOW factor is all in the Toaster Strudel crust. Toaster Strudels are flakey to start with, which makes them the perfect base for these bars. I used Cream Cheese & Strawberry flavor for these, but you can use any flavor you like, including the Limited Edition Raspberry Cheesecake! Seriously, once you take a bite, there is no going back. Be prepared to dream about these. They are that good. The very best part? They are SO SIMPLE to make. Cut the bars and place a raspberry on each bar. Drizzle with melted white chocolate. EAT!